James Kervin. 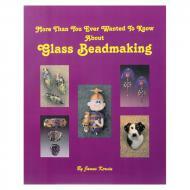 An excellent comprehensive guide for the intermediate to advanced beadmaker including suggestions for further reading. Completely revised 5th ed, soft cover, 314 pgs, including 36 pgs of color and many b&w illustrations, photos, and tables.